In case you haven’t heard, Boys Get Paid is a group of young racing fans who have embraced social media to bring a new audience to the sport. They have over 12,000 people in a Facebook group where they share tips and organise activities, catch ups and events based around race days. The movement gained traction in January 2018 when they ran an interactive Punters Club utilising social media on Karaka Million night and turned a $78,000 profit for the 530 people involved. We sat down with Luke from Boys Get Paid to chat ‘Krak A Million’, the BGP bucket list and swapping lives for a day with John Allen! How did Boys Get Paid evolve? Initially a bit of tipping between 5 mates, it’s the same thing now but between 12,000 people. We’ve worked really hard to build a community of like minded people where everyone is welcome. 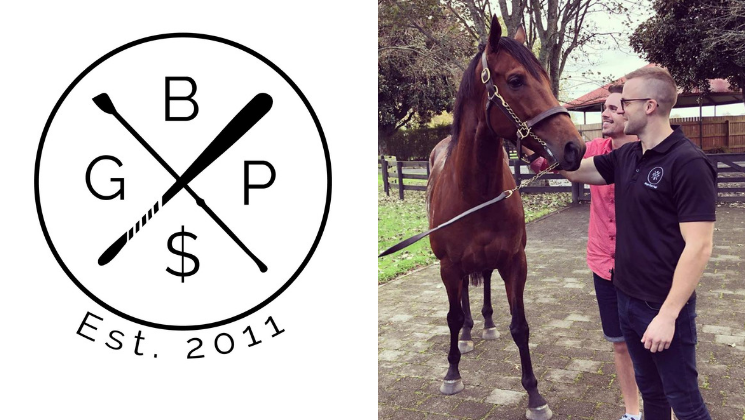 We are going to use BGP for the long term good of NZ Racing. In three words, describe BGP. You've enjoyed some great success so far. Which was most exciting for you? Outside of the genuine respect for each other within the community and being acknowledged by the industry with the NZTR Award for Contribution to Media, Digital & Content, it would be the Karaka Million 2018 turning $58,000 into $136,000 and the interest this generated in Racing and Boys Get Paid was pretty special for us. How does someone get involved with BGP? The Facebook group is where most of the action happens but we are famous enough you can Google us and you’ll find all of our channels. What's #1 on BGP's bucket list? Winning a Group 1 in BGP Colours with a huge group on track to celebrate. Getting as many people to experience the thrill of thoroughbred racing as we can. Making racing more accessible to younger people and everyday people with no direct connection to the industry. If you could swap lives with one person for a day, who would it be? John Allen - CEO NZRB - we’d make some big decisions and approve a massive bank transfer to BGP. OR Stephen Marsh - the guy is a superstar and has it all! If you could invite three people for dinner, living or dead, who would you invite? Paul Wilcox (CEO Auckland Racing Club) - Good chat and he’d be cooking. Ted McLachlan (Ted) - He’d be hooking us up with tomorrow's winners. Alysha Collett - She’s never replied to any of our other dinner invites and this sounds compulsory. This year Boys Get Paid will return to Ellerslie with a sold out event of 300 people, a punters club and a chance to ‘Krak A Million’ with their Buy a Hat promotion.